Celebrating American Heart Health Month - Welcome to SarahKesseli.com! 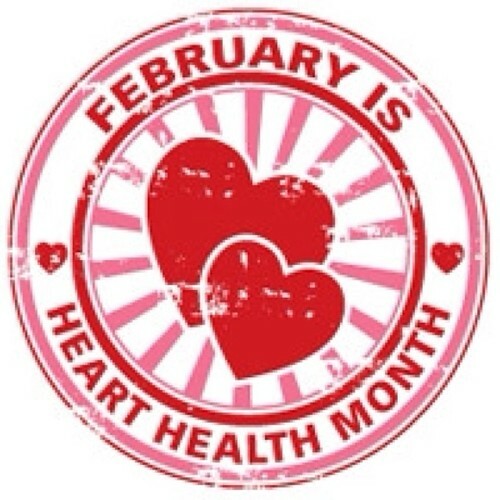 February has been celebrated as American Heart Month since 1963. It is the month where we urge Americans to join the battle against heart disease, the leading cause of death for both men and women. Two of the easiest ways to reduce your chances of getting heart disease are through nutrition and physical activity. So what does that mean? Let’s start with your food choices. Incorporating ‘heart healthy’ foods such as whole grains (oats, brown rice, barely), nuts, plain yogurt, beans, salmon/fish, apples, dark chocolate and berries can all help by lowering blood pressure and bad (LDL) cholesterol. These delicious foods can be incorporated into both snacks and main meals throughout the day. For example, you may have oats topped with berries for breakfast, yogurt and a handful of nuts for snack and salmon with brown rice and steamed asparagus for dinner. Aside from food choices, the chances of getting heart disease can be significantly reduced through exercise. The minimum requirement is 150 minutes of moderate activity over the course of a week. This simply breaks down to 30 minutes a day! Any activity that gets your heart pumping, i.e walking, jogging, swimming, tennis, golf, etc, will help prevent heart disease. Find something you enjoy, bring a friend along, and have fun with it! Starting with just one small change begins your battle against heart disease. Show everyone how much heart YOU have by incorporating these heart healthy foods into your diet and getting your body moving!